L & M Bagpipe Banners are hand made to your custom requirements. 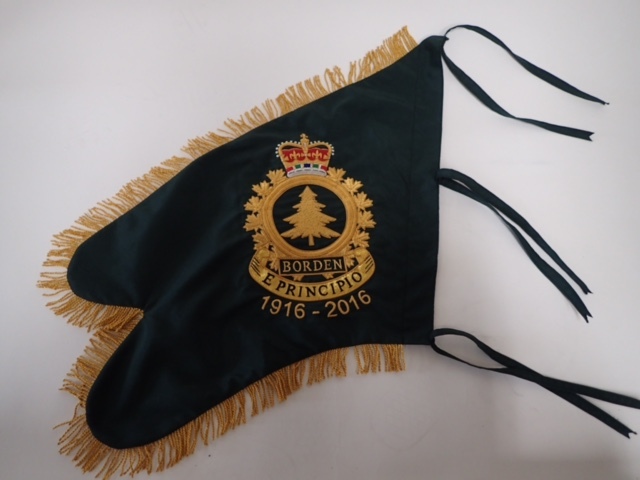 We will work with you to select banner colour, fabric, shape and size as well as the cresting which is created using hand woven wirework and fabric embroidery to replicate beautiful, true to original insignia. Banners can be identical on both sides or have different insignia based on the requirements of your organization or unit. L & M Bagpipe Banners come with an internal stiffener to ensure the banner hangs correctly while mounted on the bagpipe drone. Please contact us to discuss your project.